The Asian Conference on Education 2014 (ACE2014) and The Asian Conference on Society, Education & Technology 2014 (ACSET2014) were held at the end of October in 2014. More than 350 delegates from 40 countries were welcomed to Osaka, Japan for this enlightening set of conferences that discussed avenues and solutions to transforming and changing education. The ACE2014 Keynote Speaker Dennis McInerney, Chair Professor of Educational Psychology and Co-Director of the Assessment Research Centre, Hong Kong Institute of Education, presented on “The Many Faces of Identity – Is identity a relevant construct for understanding and enhancing learning?” McInerney discussed how identity is constructed and how children can have their identities formed into that of learners through education. IAFOR was pleased to welcome back Professor Keith Miller, Orthwein Endowed Professor for Lifelong Learning in the Sciences at the University of Missouri – St. Louis and member of the Executive Council of the International Advisory Board. Professor Miller gave a timely and interested presentation on “How will communities, societies, and education change because some machines are becoming individuals?” The ACE Featured Speaker this year was Professor Haruko Satoh, from Osaka University, Japan, who presented on “Crunch Time? Real Challenges in Internationalising Japan’s Universities” — an important topic both for Japanese educators and those abroad. The conference team wishes to thank the extraordinary efforts of our conference chairs — Professor Sue Jackson (Birkbeck, University of London, UK), Professor Michiko Nakano (Waseda University, Japan), Professor Barbara Lockee (Virginia Tech, USA), Dr Robert Logie (Osaka Gakuin University, Japan) and Professor Keith Miller (University of Missouri – St. Louis). We would like to also thank all the delegates and audience members for making this such a successful event. Welcome to the Sixth Asian Conference on Education, and the Second Asian Conference on Society, Education and Technology, which will again be held jointly this year. IAFOR’s education conferences are at the very center of the organization’s programme and our events in Asia, Europe, North America and Dubai engage a combined total of well over one thousand participants annually around the 2014 theme of “Transforming and Changing Education: Individuals, Communities, Societies”. ACE/ACSET is an interdisciplinary international conference that invites academics, practitioners, scholars and researchers from around the world to meet and exchange ideas. What we particularly appreciate and encourage at IAFOR events is the shared development of intellectual ideas and the challenges to dominant paradigms which occur through the academic exchanges of the conferences. I have every confidence that this year’s conference will continue this tradition, and extend and develop the debates still further. I would like to thank the IAFOR International Directors of Programme for their work in making the 2014 education conference series such a success; Professor Sue Jackson, Pro-Vice Master for Learning and Teaching at Birkbeck University of London (UK) and Education IDP, and Professor Barbara Lockee, Associate Director of the School of Education at Virginia Tech (USA). I would also like to thank the 2014 conference chairs present: ACE chair Professor Michiko Nakano, Director of the Distance Learning Program at Waseda University (Japan) and ACSET chair Professor Keith Miller, Orthwein Endowed Professor for Lifelong Learning in the Sciences at the University of Missouri – St. Louis in the USA, also our ACSET keynote, and local ACSET chair, Professor Rob Logie of Osaka Gakuin University. We would like to thank our plenary speakers, Professor Dennis McInerney of the Hong Kong Institute of Education (HKSAR), and Professor Haruko Satoh of Osaka University (Japan), as well as our spotlight speakers; Professors Monty Satiadarma of Tarumanagara University (Indonesia), Grant Black of Tsukuba University (Japan), Dave Towie of The University of Nottingham Ningbo China (UNNC), and Bernard Montoneri of Providence University (Taiwan). The programme for this conference promises to be an exciting one, with thematic topics that address the central aim of the conference in different but complementary ways, including through papers that draw on empirical research, develop theoretical and conceptual insights, and engage with pedagogy, experiential and lifelong learning. The conference will be enhanced through its wide variety of presenters, who will draw on their diverse experiences and knowledges and on their academic, personal and geographical contexts, in a programme that promises exciting and challenging discussion. I have no doubt that we will all be able to use the time spent at this conference for intellectual discovery and the development of collaborative links and connections between the researchers, academics, scholars and practitioners who are attending, and I strongly encourage your active engagement with the conference. I very much look forward to seeing again those delegates who have attended previous conferences, and meeting those of you who are new to IAFOR, and to continuing together the work of this education conference into the future. Dennis McInerney is Chair Professor of Educational Psychology and Co-Director of the Assessment Research Centre. Prior to this he was Research Professor and Associate Dean (Education Research) at the National Institute of Education, Nanyang Technological University, Singapore having served for a period as Vice-Dean (Research and Methodology) within the Centre for Research in Pedagogy and Practice. Previous to this Professor McInerney was Research Professor and Associate Director of the Self Research Centre at the University of Western Sydney. Professor McInerney has a BA from Macquarie University, a BEd and MEd from the University of New England, and a PhD from the University of Sydney. He is a registered psychologist, an Associate Fellow of the Hong Kong Psychological Society, and a member of both the Australian Psychological Association and the American Psychological Association. Professor McInerney has published over 200 research articles in refereed international journals, books and conferences. He edited two international research series, Research on Sociocultural Influences on Motivation and Learning (Vols 1-9) and International Advances in Self Research (Vols 1-3). He has received numerous research grants including seven Australian Research Council grants and two Hong Kong University Grants Committee grants. He was awarded the University of Western Sydney’s Senior Researcher Award and was the first Professor to receive a Personal Chair at the University of Western Sydney, Macarthur. Professor McInerney has written a number of textbooks including Educational Psychology: Constructing Learning (Pearson 5th Edition, 2010) which is a bestselling educational psychology text in Australia; Developmental Psychology for Teachers (Allen & Unwin, 2006); Helping Kids Achieve Their Best: Understanding and Using Motivation in the Classroom (published by Allen & Unwin, 2000 and republished by Information Age Publishing, 2005), and Publishing Your Psychology Research (Sage and Allen & Unwin, 2001). This presentation will first briefly examine the philosophical nature of identity. Second, I will consider some everyday uses of the construct of identity, and the inherent complexity of referring to what is meant by ‘identity’. Third, I will briefly introduce a discussion of identity from a psychological perspective including a range of theoretical perspectives, and follow this with a discussion of the many faces of identity and education. Finally, I will consider the deconstruction of the construct of identity into more observable, measurable and malleable components that educators, parents, and significant others may work with to enhance the identity of children as learners. Haruko Satoh is Specially Appointed Professor at the Graduate School of Engineering Science in charge of CAREN (Osaka University Centre for the Advancement of Research and Education Exchange Networks in Asia) and also lecturer at the Osaka School of International Public Policy (OSIPP), where she runs MEXT Reinventing Japan project on “Peace and Human Security in Asia (PAHSA)” with six Southeast Asian and four Japanese universities. In the past she has worked at the Japan Institute of International Affairs (JIIA), Chatham House, and Gaiko Forum. Her interests are primarily in state theory, Japanese nationalism and identity politics. Recent publications include: “Rethinking Security in Japan: In Search of a Post-‘Postwar’ Narrative” in Jain & Lam (eds), Japan’s Strategic Challenges in a Changing Regional Environment (World Scientific, 2012); “Through the Looking-glass: China’s Rise as Seen from Japan”, (co-authored with Toshiya Hoshino), Journal of Asian Public Policy, Vol. 5, No. 2, pp. 181-198 (July 2012); “Post-3.11 Japan: A Matter of Restoring Trust?”, ISPI Analysis No. 83 (December 2011); “Legitimacy Deficit in Japan: The Road to True Popular Sovereignty” in Kane, Loy & Patapan (eds), Political Legitimacy in Asia: New Leadership Challenges (Palgrave Macmillan, 2011), “Japan: Re-engaging with China Meaningfully” in Tang, Li & Acharya (eds), Living with China: Regional States and China through Crises and Turning Points, (Palgrave Macmillan, 2009). Internationalising Japanese universities is part of a larger problem of truly opening up Japan more to the waves of globalisation. But while businesses can diversify and globalise their operations or markets in pursuit of profit, universities can have their hands tied where companies do not. The primary ‘clientele’ is Japanese students, and their number is due to decrease over the next two decades. Moreover, Japan has too many universities competing for this shrinking pie. One solution is to take in more foreign students but here is where the problem gets more complicated. Parochial attitudes of faculty members resisting internationalisation and draconian administrations are only some of the obstacles that must be overcome. The English language problem - however trivial it may seem - cuts across all aspects of Japan’s higher education system as it tries to become compatible and compete with universities around the world. It is a deeply social and cultural problem of particularism and parochialism, symbolic of how Japan has conceived and continues to conceive its relationship with the ‘outside’ world. And so long as Japanese universities rely on the Ministry of Education, Culture, Sports, Science and Technology (MEXT) as the main benefactor for their existence, the fate for many may be doomed. Keith W. Miller is the Orthwein Endowed Professor for Lifelong Learning in the Sciences at the University of Missouri – St. Louis. In that position, he is partnering with the St. Louis Science Centert. Dr Miller’s research interests are in software testing and in computer ethics, and he is a past editor of the editor-in-chief of IEEE Technology and Society Magazine. He was awarded the 2011 Joseph Weizenbaum Award by the International Society for Ethics and Information Technology. He is the principal investigator of a recent grant from the U.S. National Science Foundation to study the effects of ethics education for computer science students. The increasing importance of cyborgs, robots, and computers is changing individuals, communities, societies, and education. For some educators, computers and telecommunications are profoundly changing instruction, enabling broad curricular standardization and individualized instruction. Physical communities and virtual communities vie for our students’ attention and loyalty. Meanwhile, technology is challenging our societal definitions of personhood, and how we define our worth in the workplace. Educational institutions must react to these changes quickly, preparing their students to live wisely in this changed and changing world. During this talk, we will examine a few of these challenges. We will not presume to announce definitive policies, but together we will explore some directions for more thoughtful public discussions about the issues. Dr Dave Towey is currently an Assistant Professor of Computer Science at The University of Nottingham Ningbo China (UNNC). After graduating from The University of Dublin, Trinity College (TCD), he worked in Japan in the late 1990s, helping develop a breast cancer screening tool using ultrasound imaging technology and fuzzy reasoning. After this, he lived in Hong Kong from 2000 to 2006, where, as well as completing his PhD, he worked at The University of Hong Kong (HKU), and as a teacher and teacher trainer in the local school system. In 2005, he became involved in a newly created liberal arts college in Zhuhai, Mainland China, the Beijing Normal University–Hong Kong Baptist University: United International College (UIC), where he remained until 2013. His research interests span a number of areas, including technology-enhanced instruction and learning, and software quality assurance, with a current focus on software testing. Flipping the classroom typically involves engaging students in reading and preparing topics in advance of the actual class time, which can then be focused on more advanced discussion and activities. Six topics from an undergraduate software engineering course at HEI-A, a Sino-foreign higher education institution (HEI) in the People’s Republic of China were identified for advance dissemination to the students through a virtual learning environment (VLE), the course management system. The structured flipped classroom involved the materials being shared three weeks before the class session, with a group of several teams then tasked with reading through and preparing questions, to be posted in the VLE, and answered by the other teams within one week (two weeks before the class session). Once answered, the first group of teams then had to respond to the second group’s answers with appropriate feedback, within one more week (one week before the lecture). Parallel to the flipped classroom initiative, several student feedback mechanisms were also implemented, providing information on how well the course was progressing. In contrast to the expected increase in class interaction associated with flipped classrooms in the literature, the instructor instead found not only lowered engagement, but increased interpersonal tensions. This paper offers some reflections and analysis on what went wrong, and what can be done to ensure future similar attempts may be more successful. Grant Black is an associate professor in the program for Modern Languages and Cultures, Faculty of Humanities and Social Sciences at the University of Tsukuba, an adjunct lecturer in the Faculty of Commerce at Chuo University, and a consultant for intercultural and business management. He has an MA in East Asian Languages and Cultures from the University of California, Los Angeles. He previously worked in international operations for small and medium-sized enterprises (SMEs) and in intercultural training. Currently, he is completing a doctoral research project with the Centre for Labour Market Studies, School of Management at the University of Leicester. His research interests are in youth-to-work transition, intercultural competence and global management skills. For national identity and development, a ‘world-class university’ is now assumed to be an essential driver of innovation, progress, and economic growth; further, it is also cherished as a mark of national pride and prestige. In the absence of a global body to certify a would-be global institution, the competitive marketplace determines acceptance into the ranks of the top global universities. The American model for a research institution has come to be accepted as the consensus ideal. In particular, for an institution to achieve status as a ‘world-class university’, the path to gaining legitimacy increasingly relies on a shortlist of must-haves derived from the American model. These developments are contributing to the process of ‘universalising the university’. A key characteristic is the emphasis on efficiency and performance: the world-class university has as its primary role to be a knowledge producer. The university is recognized as an organizational actor with targets, strategies, and mechanisms for assessing performance. Global institutions facilitate student and faculty mobility. This increases standardization and leads to greater convergence with international quality assurance practices in education. In Japan, government policies aggressively target raising the national profile in the ranks of top global universities. These reforms and change processes present complex challenges for university education and management. In seeking successful participation in the elite international networks of university education, in what ways will Japanese national characteristics of university education be preserved? To what extent will university reform policies lead to substantive institutional changes in education practices and organizational management? Dr Satiadarma is a clinical psychologist who has been teaching psychology at Tarumanagara University since 1994. He was one of the founders of the Department of Psychology at Tarumanagara, as well as the Dean of Psychology, Vice Rector and Rector of the university. He graduated with a degree in psychology from the University of Indonesia, art therapy from Emporia State, Kansas, family counselling from Notre Dame de Namur, California, and clinical hypnotherapy from Irvine, California. He is the co-chair of IAFOR’s Asian Conference on Psychology and the Behavioral Sciences and has nationally published a number of books. Dr Satiadarma has a particular interest in educational psychology, and in music and art therapy, methods with which he treated survivors of the Indonesian tsunami on behalf of the International Red Cross and the United Nations. He is a board member and area chair of the International Council of Psychology, and a founder and board member of the Asian Psychology Association. Stockholm syndrome is a form of taking the role of being victimized by surrendering personal freedom to others. When adult family members complain about their inability to make choices because of other domineering family members, they tend to perform Stockholm syndrome. The concept of being adult consists of being independent in choosing responsible actions. The inability to take actions is related to the unwillingness to take responsibility. Adults who avoid responsibility and surrendering their choices to others may have dependent personality features. As they prefer to suffer from the inability to take responsible actions under the authority of others, they perform Stockholm syndrome. This paper discusses three cases of Stockholm syndromes in families as the source of a) intermittent explosive behavior, b) hypochondriasis, and c) major depression. Sense of helplessness, fear of losing, and dependent personality features become the central issues in health threatening issues in numbers of financially successful families. Bernard Montoneri earned his Ph.D. (African, Arab, and Asian Words; History, Languages, Literature) and his BA in Chinese from the University of Provence, Aix-Marseille I, France. He is currently an Associate Professor at Providence University, Taichung, Taiwan. He teaches Literature (European, Children, American, and British) and languages (French, English, and Italian). Bernard has around 40 publications, including journal, conference papers, and books and has obtained 16 teaching and research projects. His research interests include European literature, children literature, English writing, automated scoring systems, teaching and learning evaluation, data envelopment analysis, networking, and teaching methods. He is a reviewer for top academic journals such as Review of Educational Research, American Educational Research Journal, Teaching and Teacher Education, and European journal of Operational Research. Bernard is currently editor in chief of IAFOR Journal of Education. 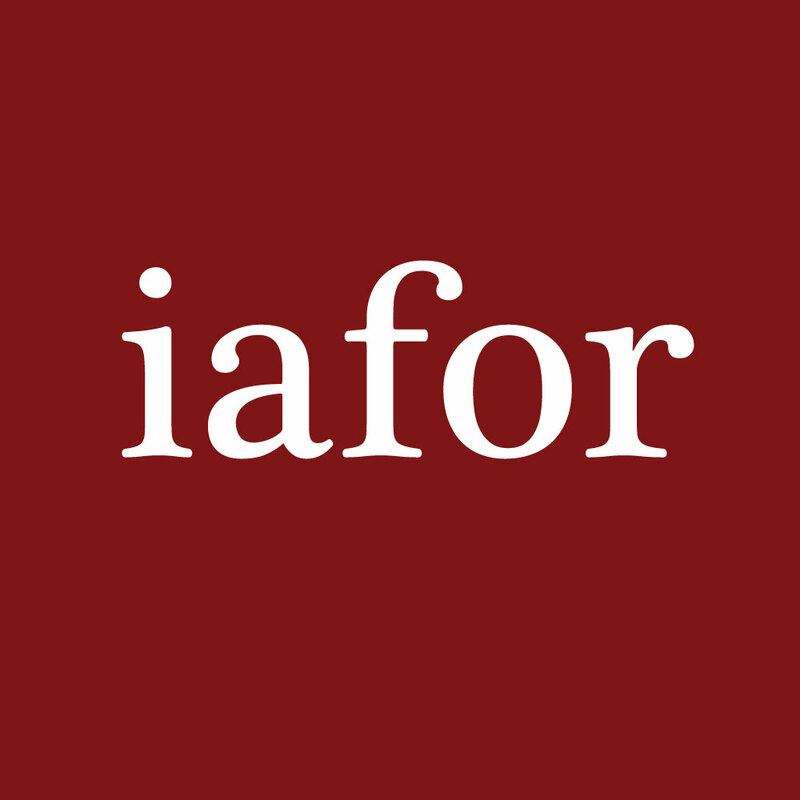 The IAFOR Journal of Education, edited by Dr Bernard Montoneri, is an internationally reviewed and editorially independent interdisciplinary journal associated with IAFOR’s international conferences on Education. The development of Information and Communications Technology (ICT) has brought rapid and profound changes in the field of Education. Nowadays, teachers and students alike are engaging on social networks such as Facebook. This study discusses the benefits of using social network in the classroom. It aims at assessing the impact of Facebook on students’ motivation and scores in a course of European Literature in a university of central Taiwan. A class of students was taught during the first semester of academic year 2013-2014 (September-January) using a traditional way of teaching. During the second semester (February-June 2014), the teacher used multimedia and Facebook to teach to the same students. They joined a “secret group”, that is a group in which only students from the class can join, post, view posts, like, and comment. This research compares various data from the first and second semester to measure students’ improvement in motivation, their participation to the group and their scores. Among the data are a questionnaire designed by the teacher and students’ evaluation of the educator at the end of each semester. Students are expected to make some progress and teacher’s evaluation should improve. Even though Taiwanese students generally read and write in Chinese on Facebook, it is expected that they exclusively use English to read, share, and comment texts and information concerning the books studied during the second semester, thus increasing their chances to improve their reading and writing skills. Sue Jackson is Pro-Vice-Master for Learning and Teaching and Professor of Lifelong Learning and Gender at Birkbeck University of London, where she is also Director of Birkbeck’s Centre for Transformative Practice in Learning and Teaching. She publishes widely in the field of gender and lifelong learning, with a particular focus on identities. Sue’s recent publications include Challenges and Inequalities in Lifelong Learning and Social Justice (Routledge, 2013); Innovations in lifelong learning: critical perspectives on diversity, participation and vocational learning (Routledge, 2011); Gendered choices: learning, work, identities in lifelong learning (Springer, 2011, with Irene Malcolm and Kate Thomas); and Lifelong learning and social justice communities, work and identities in a globalised world (NIACE, 2011). Sue has recently been awarded a prestigious National Teaching Fellowship from the UK’s Higher Education Academy. Professor Jackson is a member of the Executive Council of IAFOR’s International Advisory Board, and International Director of Program for Education. Michiko Nakano is a Full Professor in the School of Education at Waseda University in Tokyo. She is currently Director of the Digital Campus Promotion Office, Director of the Distance Learning Center, and Director of Cross-Cultural Distance Learning. A former Deputy Dean of Student Affairs, School of Education at Waseda University and a former Chairman of the Department of English Language and Literature, Dr Nakano’s research concentrates on the practical applications of Computer Technology as it relates to Language Teaching and Assessment. She is the co-founder of the Pan-Pacific Association of Applied Linguistics (PAAL), and co-editor-in-chief of its journal, and a former secretary general of the Japan Association of College English Teachers (JACET). Dr Nakano has edited and published more than 220 papers and books. Barbara Lockee is Professor of Instructional Design and Technology at Virginia Tech., USA, where she is also Associate Director of the School of Education. She teaches courses in instructional design, message design, and distance education. Her research interests focus on instructional design issues related to technology-mediated learning. She has published more than 80 papers in academic journals, conferences and books, and has presented her scholarly work at over 100 national and international conferences. Dr Lockee is Past President of the Association for Educational Communications and Technology, an international professional organization for educational technology researchers and practitioners. She earned her Ph.D. in 1996 from Virginia Tech in Curriculum and Instruction (Instructional Technology), M.A. in 1991 from Appalachian State University in Curriculum and Instruction (Educational Media), and B.A. in 1986 from Appalachian State University in Communication Arts. Professor Lockee is a member of the Executive Council of IAFOR’s International Advisory Board, and International Director of Program for Technology, Education, Information and Society. Robert Logie is an associate professor at Osaka Gakuin University. His current research interests are logics of agency, fuzzy and modal logics and network intrusion detection systems. After working as an engineer on roads and bridges in the north of Scotland and as a high school teacher in Bermuda he drifted towards academia. An M.Sc. at Strathclyde led to Oxford with work in the Department of Engineering Science and at St. John’s College. He returned to Strathclyde to manage an AI applications laboratory in the Centre for Electrical Power engineering before meeting someone he met at Oxford, marrying, and moving to her home country. His working life in Japan started at IBM’s Yamato software laboratory where he worked on developing database query visualisation tools and database access modules for Lotus’s Domino server. His wife was posted to Geneva where Rob started a Ph.D. at the Open University and this lead to his current research interests and teaching career. Keynote Presentation (2014) | "Deconstructing Learner Identities"
Featured Presentation (2014) | "Crunch Time: Real Challenges in Internationalizing Japan’s Universities"